We recently spent a long weekend in Thunder Bay and loved it! If you missed it, the introduction is here. The Hymer Fall Fair is painted by the same brush as the scenes in your imagination. Picture a quintessential Fall Fair with live country music, chickens that win awards, cows with ginormous udders and corn dogs- that's the Hymer Fall Fair. Its awesome, and you should definitely go if you can. Day 2: Thunder Oak Cheese, Mt McKay, Sleeping Giant Brewery. Since this day was my favourite, it got it's very own post! Across the bay from Thunder Bay the giant sleeps, daring you to try to wake him. 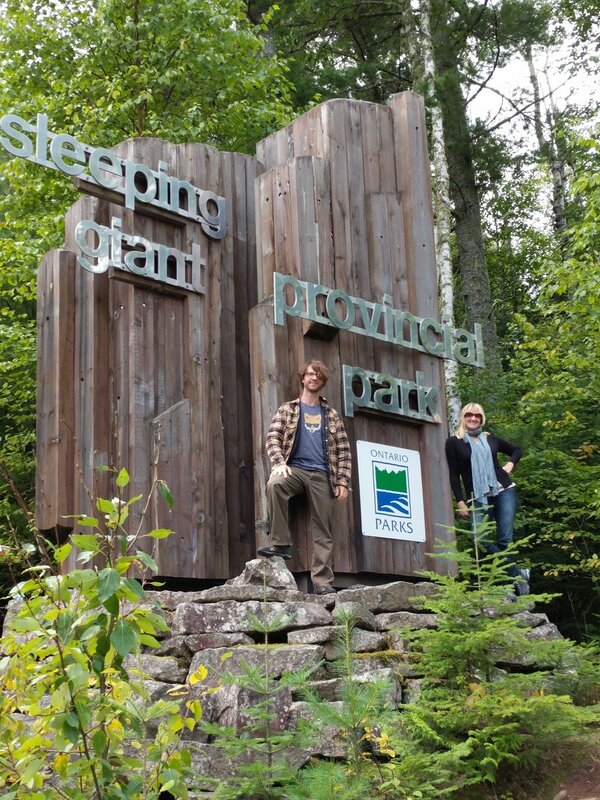 To really appreciate the long hikes in Sleeping Giant Provincial Park we're going to have to return and camp there. It's such an exceptionally beautiful area that a half day there barely does the Park justice. There are so many longer day hikes I can't wait to check out. However, the short hike to the sea lion was gorgeous and easy! We had a picnic on the lake and stayed just long enough to know we had to come back. For an apres-hike drink we stopped in at the Red Lion. A local favourite, the Red Lion had a great atmosphere. I can imagine nights with live music the place is pumping! Because we're lucky, we got to spend the evening tasting Scotch with awesome new friends and making s’mores at a backyard campfire. I can't promise such serendipitous evenings for all Thunder Bay visitors, but believe me, it would be a highlight if I could! The Cascades Conservation Area is a gem. Easy, quiet trails weave through the forest and alongside spectacular rapids. There are so many great places for a picnic. It's a really great way to spend your day in beautiful Northern Ontario nature.